Looking for the best gaming motherboard you can find for the Intel i7-8700k CPU? Look no further, we’ve got a ton of in-depth reviews written by experts who have been building and maintaining gaming computers for years. 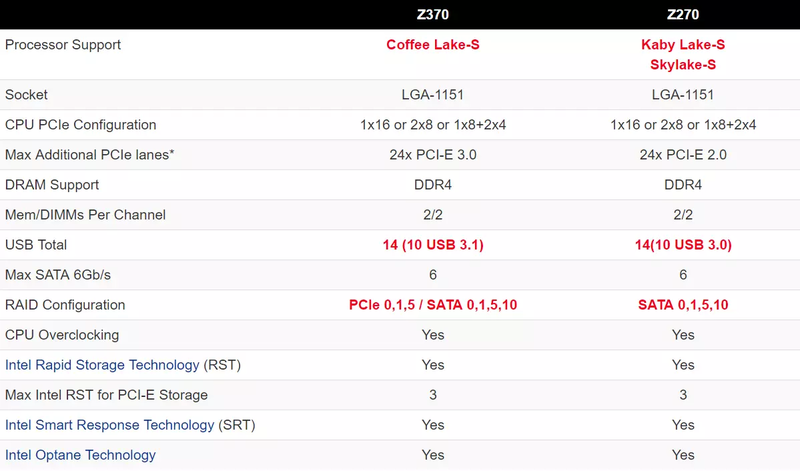 The new dawn of Intel CPUs based on the 14nm Coffee Lake architecture by Intel is here, this will require an upgrade to a new Z370 motherboard that many people may have been dreading to do but unfortunately, the i7-8700k is not backward compatible with any of the older 200 series motherboards. The Intel i7-8700k is by far the best gaming CPU on the market today, it’s performance boost over the older i7-7700k is around 30% better performance overall, pairing it up with a bad motherboard would be a total injustice to the sheer awesomeness of it, hence why we’ve spent hours researching, compiling data and reviewing to find the best motherboard for i7-8700k on the market today. For this guide we have selected the top tier you can get for the i7-8700k, each and every one of these motherboards will do absolutely great when it comes to gaming, what motherboard you choose ultimately ends up to individual preference, price, aesthetics, features, etc… For this purpose, we have included a variety of different motherboards for different price ranges, features and the such to ensure that you will have a good amount of choice for what motherboard you want to buy. If you happen to be looking for a motherboard that would be good for the Intel i5-8600k, you should look at the guide to finding the best motherboards for i5-8600k. It’s written in the same overall format and we put just as much effort into making it as we did this guide. 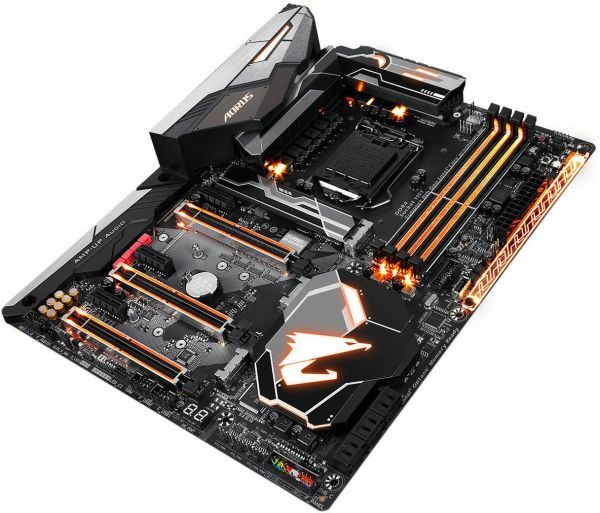 Although this motherboard can be quite expensive, it is mostly targeted towards the enthusiast crowd, the Z370 AORUS Gaming 7 is probably the most feature-packed gaming motherboard out there at its price range, it features cool and highly aesthetically pleasing RGB lighting which can be adjusted to your preference to give your computer a highly pleasing look, the RGB system that this motherboard includes is the RGB Fusion with multi-zone LED, with the push of a button the entire motherboard can be lit up with the colors of your choice. This motherboard is also a great overclocking motherboard for much of the enthusiast gaming community, tons of reviews stating that it can reach up to 5 GHz with no major problems. With all of this comes a fairly hefty price tag but overall the Gigabyte AORUS Gaming 7 is a great investment in our eyes. ASUS is one of the best-known motherboard brands out there, it’s one of our top choices and as such might be out of the budget range of many people who aren’t enthusiast gamers, we have a motherboard on this very guide for that, however (just keep scrolling), if you are an enthusiast gamer this motherboard is a great pick for overclocking. 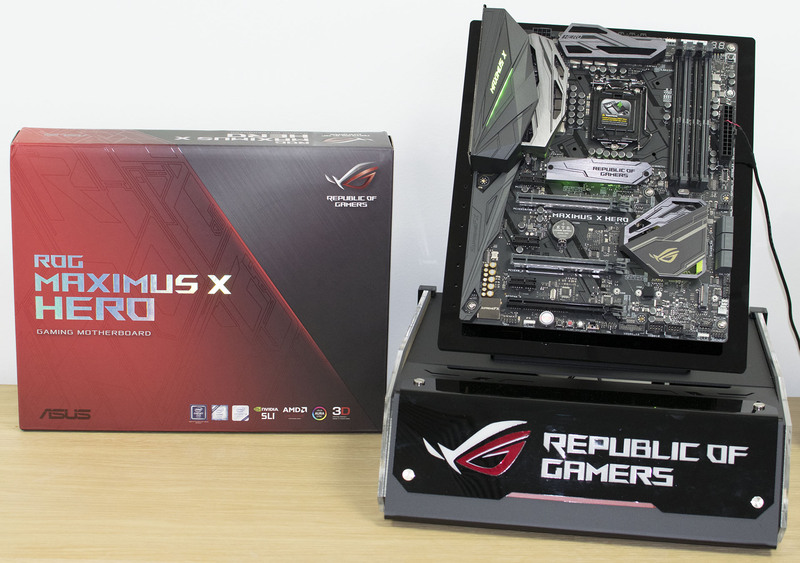 Many people have gotten up to 5.2 GHz or even more on this motherboard, similar to the Gigabyte Z370 AORUS Gaming 7, the MAXIMUS X HERO Z370 also has quite a good RGB lighting system that is highly aesthetically pleasing, similar to the Gigabyte Z370 AORUS Gaming 7, the MAXIMUS X HERO also includes an M.2 heatsink that cools the SSD of the computer before it can become a performance issue. This motherboard is probably the most basic motherboard you can get on this list in terms of aesthetics, it doesn’t include RGB/LED lighting at all and is more targeted towards those who want a more dark aesthetic instead of a more flashy extravagant one. It’s great for people who want a solid, well-built motherboard without all the flashes and whistles. It has many of the same great features that the more expensive motherboards have but at much lower prices, it also includes overclocking support in-case you were worried about that. A weird thing about this motherboard is the sheer number of USB ports it includes, it has 14 USB ports that all have varying locations and types (6 Rear Panel USB 3.0’s, 2 USB 2.0’s, 2 Internal Header USB 3.0’s, 2 USB 3.1 ports with one being Type A and another being Type B). Unfortunately, it doesn’t seem to be that aesthetically pleasurable but many gamers don’t really care about that anyways. 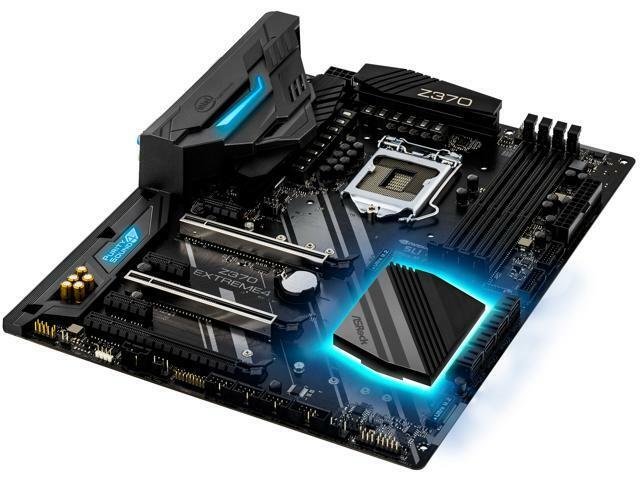 This motherboard has many of the same features that a lot of enthusiast motherboards have yet it also has a fairly reasonable price, with the AsRock Z370 Extreme4 you get RGB LEDs, an oversize voltage regulator for overclocking and the latest ALC1220 audio codec. The durable design includes a 12 power phase digital PWM design, great cooling system, and decent overclocking ability. It also has room for multiple graphics cards and a good amount of M.2 slots to plug in externals with. A lot of these features are usually confined to enthusiast motherboards but at a cost much much lower than most of them. 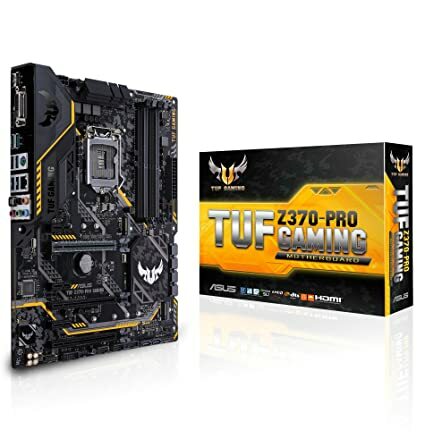 The ASUS TUF Z370 is a great deal in terms of value, unlike the EVGA Z370 FTW, this motherboard includes LED support and it also has most of the good features that most more expensive gaming motherboards have, it has a great sound system in the Taiwanese made Realtek ALC887 optimized for gaming headphones, the motherboard also includes 4x Fan headers of which one is required for the CPU and the other ones can be used for Chassis Fans or a liquid cooling loop is needed. If you wish to add extra peripherals (for example a Wi-Fi cards) there are 4x PCIe x1 slots and also 2x PCIe x16 that support AMD Crossfire and SLI – so this is a great motherboard for a single GPU configuration and also dual GPU Configurations. All the capacitors in the ASUS TUF Z-370 include TUF protection which protects them from static electricity and the such that can usually cause a big problem. The interesting thing to note is that Intel didn’t change the Socket Type (LGA1151), but don’t be tricked into thinking this means Z370 has support for older 7th generation CPU’s, it will physically work but the system will never actually turn on nor run POST. Overall, the changes between the Z270 and the Z370 are quite minor other than the ability to support 8th generation Intel CPU’s that the Z370 Chipset has. Overclocking is a relatively well-known and common thing to do nowadays in the gaming PC community, for the most part, if practiced responsibly it’s not harmful nor bad for your CPU, as long as you know what you are doing you are probably only going to have benefits, not any downsides. Overclocking refers to the notion of forcing a processing unit to run past its usual speed (base clock). Every single electronic device on planet Earth has a processor that can be pushed past its usual speed (overclocking), whether it’d be in a phone, a calculator or a computer for example. When you do this, the speed at which programs run increases because of the higher processing speed, usual Intel processors don’t feature any sort of overclocking capability but most gaming Intel processors (that have the -k suffix) do. Overclocking a CPU will force it to require more power, voltage, more cooling, and causes the processor to exude more heat. To take care of this you need better fans or you may even consider using liquid cooling. We hope that this guide will help you in your quest to find a good gaming motherboard.